"Prime Minister" Hun Sen of Cambodia has occupied the nation's seat of power for 25 years. Term limits don't exist, neither does any real opposition. 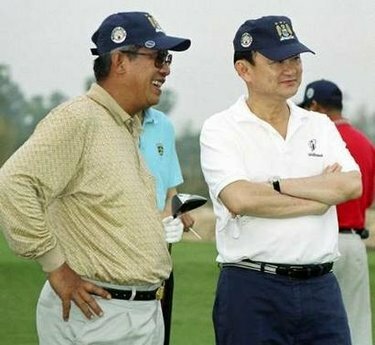 In 1997, when last Hun Sen lost an election, he butchered and exiled his opposition in a bloodly military coup. In addition, after the 2009 April riots conducted by Thaksin's Marxist "red shirts" many of the leaders fled to Cambodia as a safe haven and base to continue stoking violence and unrest, and even arm the Marxist rebels with weapons acquired in Cambodia. Unlike Dubai, which has a very tiny local population, Cambodia has a human obstacle standing in the way of wall-to-wall exploitation. It seems as if the US Army and the globalists are more than prepared to clear this obstacle, in the most abhorrent way possible - which is why you haven't heard of Hun Sen, or any news from Cambodia, and won't until Hun Sen backpedals or lines his pockets a little too much, and needs to be replaced.